On Saturday Mainz becomes the latest team to challenge Borussia Dortmund’s unbeaten start to the Bundesliga season. The Reds enjoy a close working relationship with the Signal Iduna Park outfit, as they were the breeding ground for both Jurgen Klopp and Thomas Tuchel – two of the latter’s more successful coaches. But that will count for nothing as Sandro Schwarz’s battlers aim to upset the visitors. 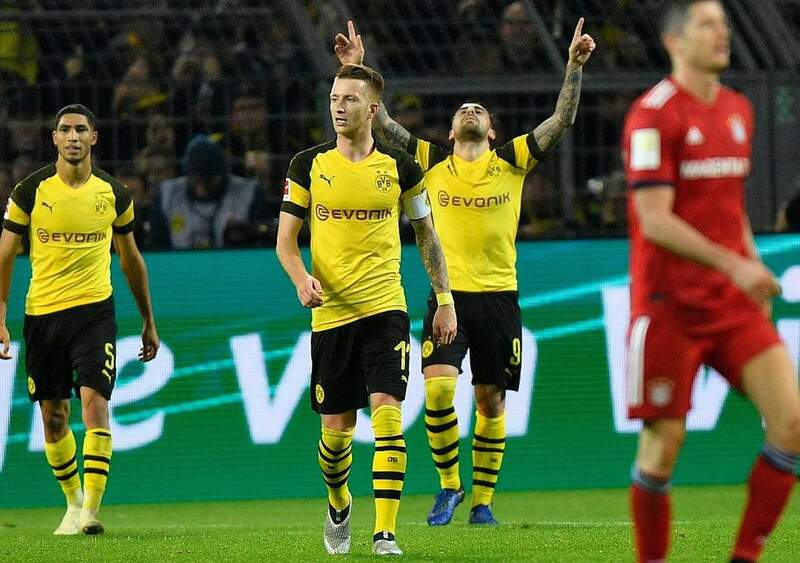 Lucien Favre’s revolution gathered steam when the Black and Yellows toppled preseason favourites Bayern Munich 3-2 just before the international break to open up a seven point advantage over the reigning champions. They have a perfect chance to gain a similar advantage over second placed Borussia Moenchengladbach, who are not in action until Sunday. Favre’s side have been banging in the goals regardless of who they field upfront. World Cup hero Mario Goetze started the victory over Bayern Munich along with Jadon Sancho and Marco Reus but he could make way for Maxmillian Phillips or super sub Paco Alcacer. The Munich club are in disarray by their own high standards but club president Karl Heinz Rummenigge has intimated they are sticking with new manager Robert Kovac. The Berlin born Croat will certainly be counting on his star studded line up to turn on the afterburners for the visit of newly promoted Fortuna Dusseldorf. Kovac will feel the key to success is spreading the goal scoring burden to augment Robert Lewandowski’s obvious threat. Surprise package Borussia Moenchengladbach are poised to continue with their unexpected title challenge when they welcome relegation threatened Hannover to Borussia Park. Dieter Heckin’s high flyers are heavily favoured to win the tie thanks to the red-hot form of striking pair Thorgan Hazard and Alassane Plea. Heikko Herrlich’s inconsistent Bayer Leverkusen get action underway on Friday at home to Stuttgart. The visitors upended fellow strugglers Hannover a fortnight back but it is difficult to see them thriving at the Bay Arena. Karim Bellarabi, Kevin Holland, Leon Bailey and Julian Brandt will carry Leverkusen’s goal scoring burden.